For parents of children—of all ages—born domestically. College Adjustment for Adoptee Research! 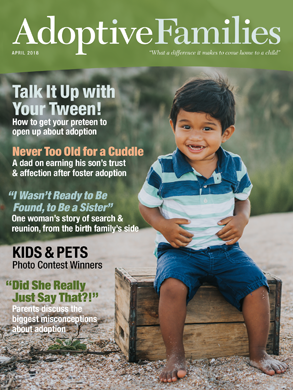 Help voices of adoption be heard today! Help reduce adoption disruption and/or dissolution! Were you adopted as a child? Help improve adoptive parent support services! Caitlin Murphy started the discussion College Adjustment for Adoptee Research! kristenhaberkorn started the discussion Help voices of adoption be heard today! kristenhaberkorn started the discussion Help My Adoption Research! Anne-Marie started the discussion Help reduce adoption disruption and/or dissolution! StudentResearcher started the discussion Were you adopted as a child?